This year we’ve been rolling out some great value offerings for PS3 owners who may have missed some of our past classics, from God of War Saga to the Ratchet & Clank Collection. Today, we’re happy to announce that we have yet another sweet collection coming your way this winter — The Resistance Collection. Stay tuned for more details, including the final US release date, in the coming weeks. And we want to know — which Resistance game is your favorite? Why do people care about trophies? @50: I like the extra stuff to do. I don’t need them though, they’re a nice bonus. Plus if someone checks your list they can see what you play, and see what you like the most (in theory). I like to see what games I have in common with others. Shame you can’t do thst without trophies. @50 – why do you care if we care about trophies? R2 was my favorite. The co-op was just plain simple fun. Well put together and you needed to work together to survive. That is a game that trully needed DLC. I still own my copy of 2, I sold my copy of R1, so I wil pe picking this up and giving my cousin my copy of 2. R:Retrebution was also pretty good. I hope the pricing is in line with $29.99. That would be perfect. R:FoM was easily the best, and not just because the others were terrible. To me, the best SP FPS this gen. If I’m not mistaken though, this will be the only PS3 collection to have a main game without trophy support hu….? Killzone, Ratchet, Jak, Sly, Infamous, GoW, Uncharted etc… all have trophy support for all their games, except this one. @54: The PSP remasters in GoW Saga have no trophies. @55: No it doesn’t… and have you developed a PS3 game? No? Then don’t act like you know better than one that has. Are they all gonna be on discs or will this require my PS3 to make a 10-15 Gig sacrifice. Are they all gonna be on discs or will this require my PS3 to make a 10-15 Gig sacrifice? Curious as to why we will tout ps move and 3d compatible but not willing to respond to the over 50 comments on trophy support for rfom? Why the silence? These comment sections exist for us to obviously comment positive or negatively to a post and I know we shouldn’t expect a reply to any or all questions, but even offering a quick yes or no to a question would allow peace of mind. And also allow the comments to move on to other issues positive or negative to this post. Of all of the things that Sony does, trophies definitely set it apart and give us a sense of personal accomplishment and are assuredly a selling point for 75-80% of potential buyers especially ones who have already bought or have these already and would do it again if we get a simple bullet point on the box… full trophy support for rfom. I played this with my son (rfom) as a first time ever playing a ps3 game and we both enjoyed it so much, not that the others were bad but there’s just something about the original that started it all. It would be a disservice to the franchise for this not not get the trophies it has earned by spawning several quality sequels. I hope that you guys at Sony fix the glitch issues that are on RFOM MULTIPLAYER specially on Manchester 40p before release this collection because is full of glitchers nowadays.I’m still playing this game and I can say that its really annoying see the glitchers running outside the map or behind the walls killing you so it would be a big mistake release this collection without fix this problem on 3 games. And about the trophy support for RFOM it would be great if you bring it. @57 The PSP Remasters in the God of War Saga collection do have trophies, they’re the same versions of the games that were released in the God of War Origins Collection last year. Trophies would be great for the first game, but I don’t see it happening. You need people like Kojima and Ted Price is not one of them. Insomniac is done with Resistance. Then again Sony has the final word and they could obviously use some other company to create that trophy patch. All new releases MUST have trophy support, that’s the reason why MGS4 got trophy support, because Konami was planning on re-release the game. This is not an exception, Resistance 1 will get trophy support too, don’t worry about it. No, re-release is not a “new release”, don’t try to confuse things. Trophies for MGS4 were just a fan service. And yes, also clever marketing for the series that got HD collection and will get two new games. This Resistance re-release (last one included R1&R2) won’t have trophies for the first game. I’m guessing no on trophies since Insomniac has already said there’s nothing in it for them. Then again, it would increase the sales of this collection, so maybe they’ll change their tune…? Still, judging by previous collection announcements, it would have been mentioned in the blog post if trophies were being added for RFOM. R:FoM is a classic game, & 1 of the best games i have in my collection. The only problem is the game isnt moderated anymore.I play a manchester 40 TDM, but cant get a fair game with the amount of glitchers in game, or players shouting & screaming over the mic. Spoils the game for everyone. Bring back the moderaters or just turn the servers off! Think about it Insomiac! you could have a real winner on your hands if you give the people what they want. Rework the code for RFOM, add trophy support, and call it a directors cut edition – only available in the collection. For $40 I’d be in, if FOM had trophies. Look, if there’s a trophy patch, it’ll be released in every single copy out there. Original disc, R1&R2 Dual Pack, Resistance Collection… You’ll download it via internet. Same thing with God of War Origins Collection, GoW Saga, etc. Trophy patch is for the game – not for the certain release, re-release or a box set. And that’s why Sony isn’t probably very interested of investing money just for the trophy patch. People just take their old copy of R1 or buy the used copy somewhere. Either way, no money for Sony. But trophies for everyone. Don’t get me wrong, I really like trophies and I love Resistance. And PS3 rulez forevah. And Sony is the king of gaming :) But, I’m a realist. What about atrophy patch for Resistance 1? If Konami can do it you can too! How u explain Metal Gear trophy patch then Electricboy, how come they went and did that? Man all “gamers” care about these days is trophies and instant gratification. Even though I have all 3 games, I will get this as long as all 3 games are on disc. I hope to see a trilogy set like this for the 3 Uncharted games as well. what about retribution and burning skies? it’s not really a collection without those.. come on now. I’ll pick up RFOM if there are trophies included. Daddyj: I already explained that. Then again I don’t have any official answers, so I guess you have to ask Kojima and Konami. What can I say – Kojima loves MGS. Konami wants to keep MGS fans happy and keep the series in the headlines. Trophy patch is a small price for that, I guess. Two new MGS-games are coming, so the series is making a serious come back. They need marketing. Sadly, Resistance doesn’t have the same luxury. Who knows, perhaps the whole series is dead? I HIGHLY doubt it, but at least there are no new Resistance games in a horizon. Did they even support the 3rd one? Great game, but it didn’t get much support from Insimniac nor Sony. At least IMO. Trophy support for the first game ? Fall of Man was the first disc I put in my PS3 and my favorite in the series. 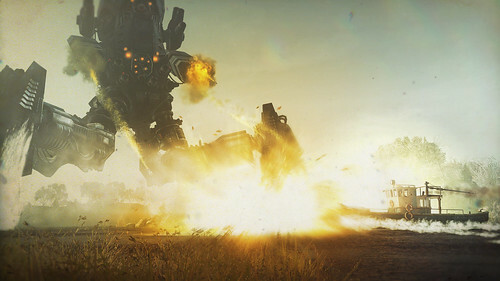 what a great game and the multiplayer was just amazing. I doubt trophy support will be added, but it would be cool if so. Instant gratification is a culture wide phenomena thanks to the rise and dependency of the internet. It affects society as a whole, not just gamers. 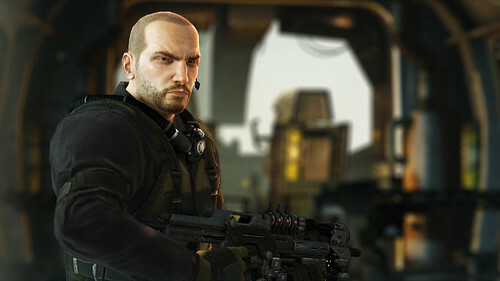 Resistance 2 is my favorite game in the series. please please please! Add trophy support for Resistance FOM!!! I’m not getting this unless trophies are implemented into RESISTANCE: FALL OF MAN!!! FYI this may mislead a lot of people who are new to the series, they may start playing FoM and get very confused why no trophies are popping up for Fall of Man. MGS4 was patched with thophy support for 2 reasons. (1) Fan service and most importantly, (2) SALES. Most people that had MGS4 when it was released either have sold their copy or gave it to someone else. With such a huge ps3 install base, Konami will sell well over another 2 million copies to 2 kinds of gamers. (2) The ones that sold/gave away the game and want to play it again for the new Trophies. Its a very smart move by Konami. I still have my original copy in my collection and will one day play it again for the trophies, but ive already played MGS4 like 4 times already. I think the Resistance series was under appreciated and under rated. These were great games that no one talks about. 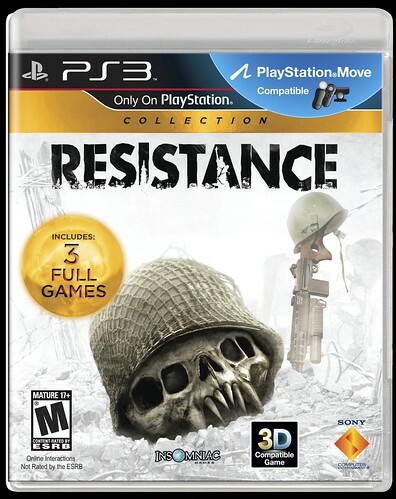 I would have loved to seen another Resistance game on the PS3. This is good news, but 2 quick questions! 2.-Are all three games included in discs? or one of them is going to be a digital download? They should add some trophies… the problem is, could there be some online trophies perhaps? Loly. Will there be a digital PSN version of this collection? I like the first Resistance, never could get into the other two, however. So this will be a no-go for me. Any chance of a Kingdom Hearts Collection at some point? I doubt there will be trophies guys. The game is very old now. Its much easier to throw all 3 into a box than go through a lot of testing and work to add in trophies. If it got trophies then the game is going to need an update to put them on cos i still have all 3.
ill bye the digital version only. Please add trophies for the first game. 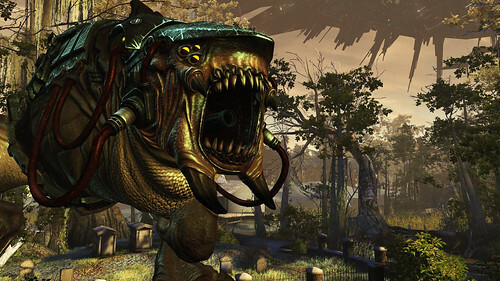 I only want to buy this so I can do finish co-op on Resistance 3. I’ve played the other two games and would love a reason to go back and play the first one. Do that and I’ll consider buying the Vita version brand new too. No trophies for R1 no thanks. All 3 games will be move compatible? 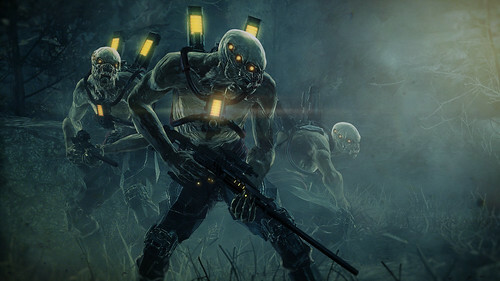 I have Resistance 3, and is very addictive, with sharp shooter is great. RFOM with trophies = Must Buy! RFOM with no trophies = NO BUY!